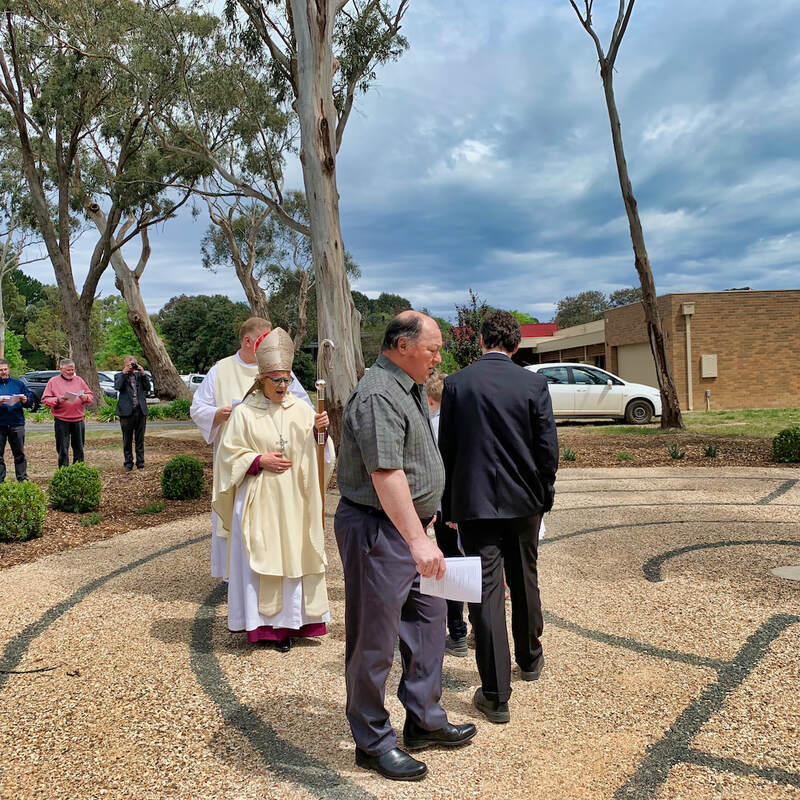 On the Feast of All Saints and All Souls, the Parish of Gisborne welcomed the new Bishop of the Oodthenong Episcopate to the Church of the Resurrection for confirmations and the blessing of the first part of the Spiritual Walk. 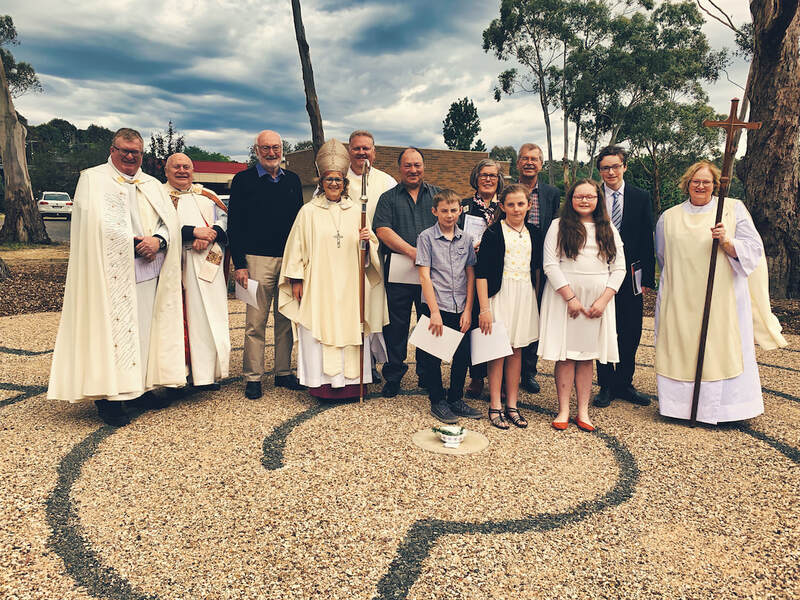 Bishop Kate Prowd was ordained Bishop on October 6th, and this was not only her first visit to the Macedon Ranges as Bishop but also, her first confirmations. 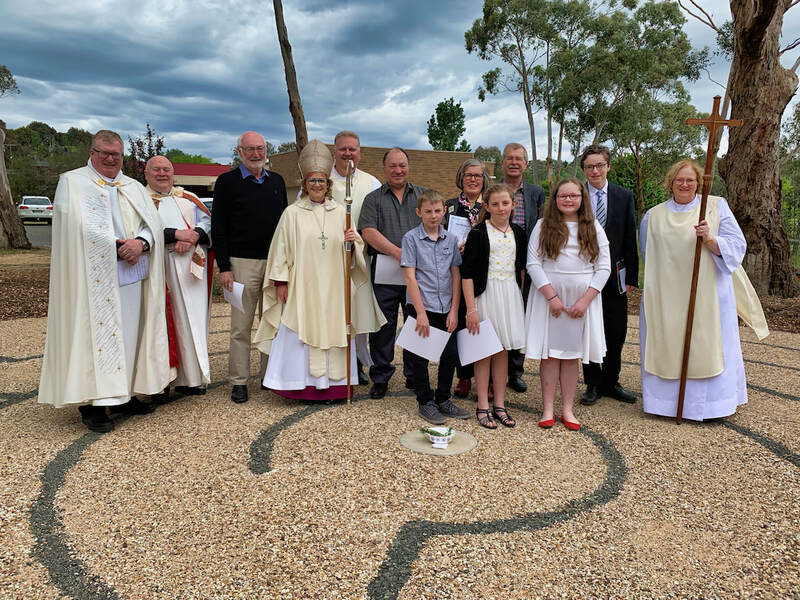 Bishop Kate was welcomed to the Parish by the Wardens and then presided over a very moving service that was marked with joyful singing, led by the Parish Choir and the Young Voices of Macedon. 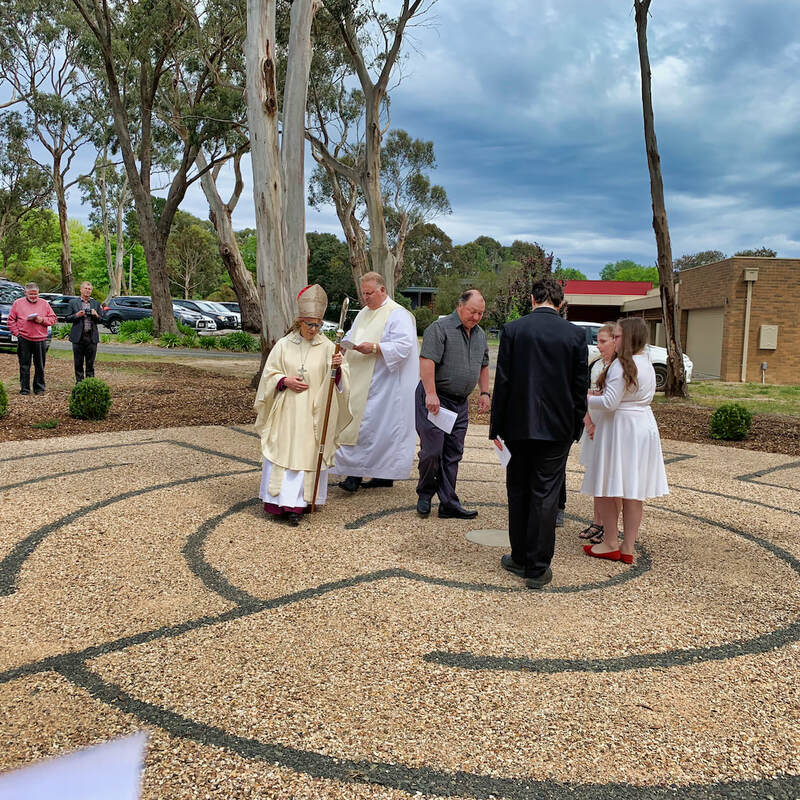 Accompanied by the five confirmees, Bishop Kate blessed and walked the labyrinth during the singing of the Taizè chant Laudate Dominum (Praise the Lord). After the hallowing (an old word which means ‘blessing’ from which we get “Hallowe’en) Bishop Kate was joined by Athol Guy, together with Rosemary and Peter Davies who were instrumental in bringing the concept of the Spiritual Walk into existence. The Walk is not just something for the Parish. Fr Dennis Webster spoke of it as a resource and gift for the Diocese of Melbourne as well as the shire. 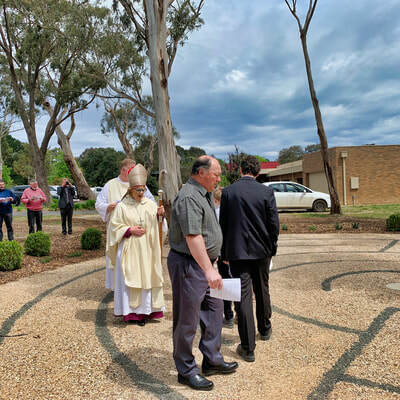 The well-planned and much anticipated spiritual walk is underway at Macedon's Church of the Resurrection. 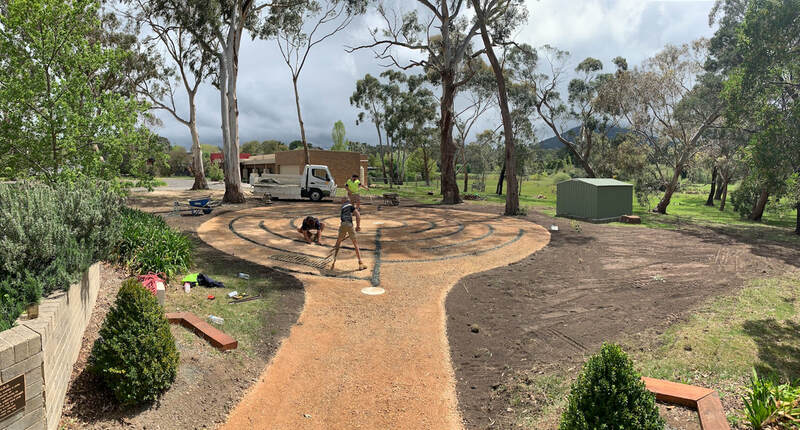 The establishment of the labyrinth precinct, designed by Rosemary Davies and Athol Guy, commenced work on October 15th, 2018 on what was a beautiful day, continuing into the stormy day that followed. Jigsaw Landscapes of Gisborne have expertly laid the foundation in preparation for the hallowing and dedication by new Oodthenong Anglican Bishop Kate Prowd during her first visit to the Parish on November 4th. Photos of the progress will be added on this page as the site develops. 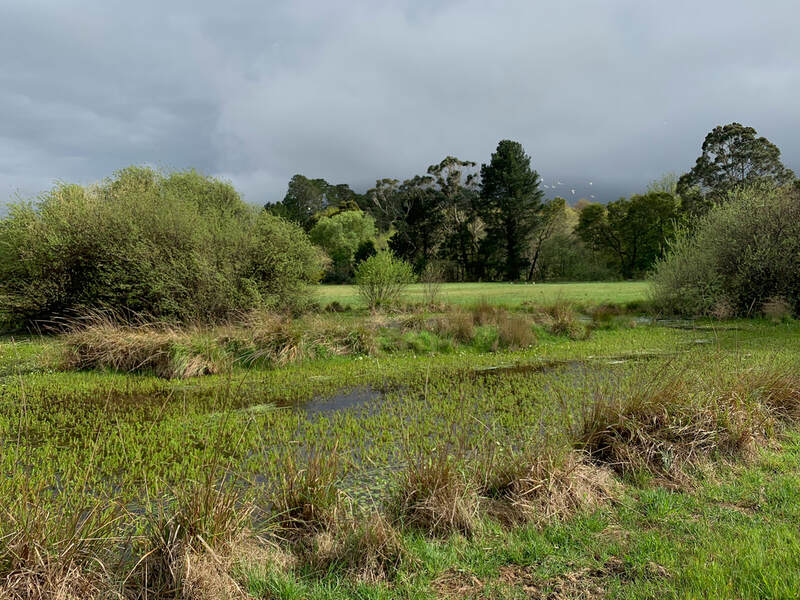 It is envisaged that in time the walk will include the floodplains of Riddells Creek on the western side of the Mount Macedon Road. 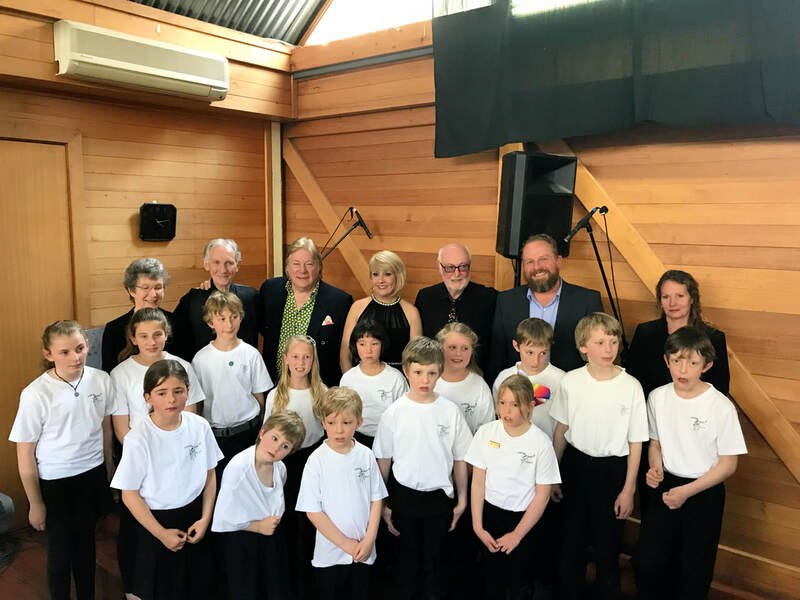 Presented with an afternoon straight out of the Swinging Sixties and The Seekers Songbook, Athol Guy and Friends had the afternoon away with the beautiful Young Voices of Macedon. Highlighting both their Vivo and Cantabile members, under the direction of Dianne Gome, Elizabeth Teed, Andrew Price and accompanied by Catherine Hutchinson, they set the scene for a beautiful afternoon of music, finishing with a spirited rendition of Rhythm of Lifefrom the hit 1960s musical, Sweet Charity. Soon, it was to be a pilgrimage back through the mid 60s to the present as Athol Guy, Buddy English, Jenny Blake and Rod Hills took the stage. Buddy English performed two of his hit songs, Doll Houseand Movin’ Man. Next Jenny and Rod introduced themselves musically, and the story embarked, as it were, on the TSS Fairskywith Athol and The Seekers on the tour to England that changed their, and Australian music life. For all present, it was more than a trip down memory lane as this well-orchestrated and visual spectacular unfolded. For many in the room, there were many touching moments of significance through the last 55 years. 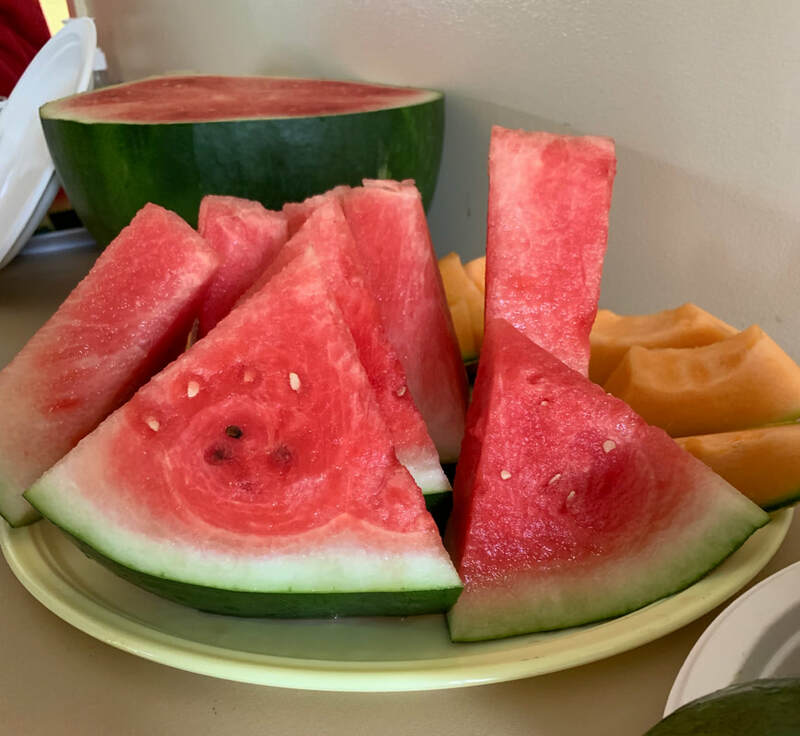 It was as if there was an affirmation of a significant time in our history as what really amounted to an amazing afternoon of entertainment unfolded in the fullest sense. Proceeds from the afternoon will aid the development of the Spiritual Walk being commenced at the Church of the Resurrection. The first stage will be dedicated by new Bishop of the Oodnethong Episcopate, Bishop Kate Prowd, on November 4th. 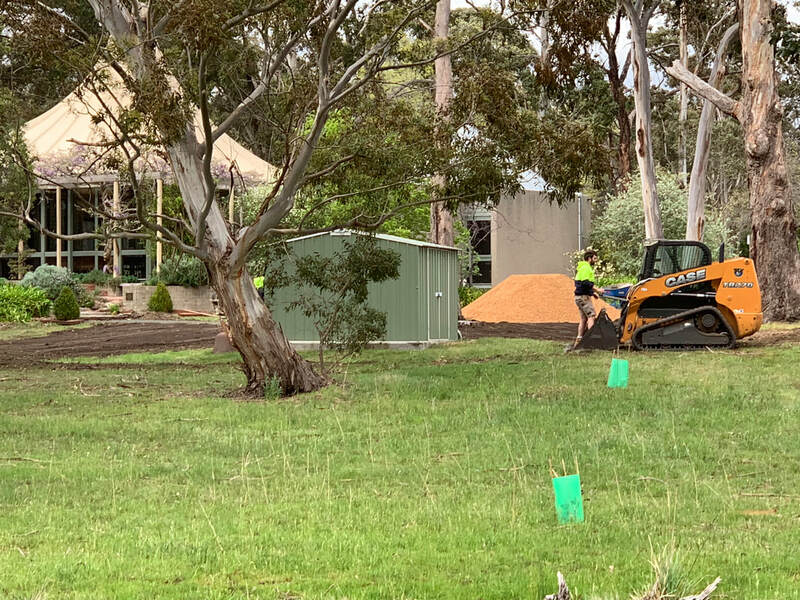 MACEDON Ranges Shire Council meetings will no longer open with a prayer after a motion was carried at the most recent council meeting on Wednesday night.Councillor Natasha Gayfer moved the motion, saying the 2016 Census showed how the demographics of the shire had changed. Statistics from the Census showed 22,396 of the Macedon Ranges Shire’s 46,100 residents at the time of the Census don’t identify as Christians and 17,050 are not religious at all. Cr Gayfer said she would like to open council meetings with something that addresses people of all beliefs. 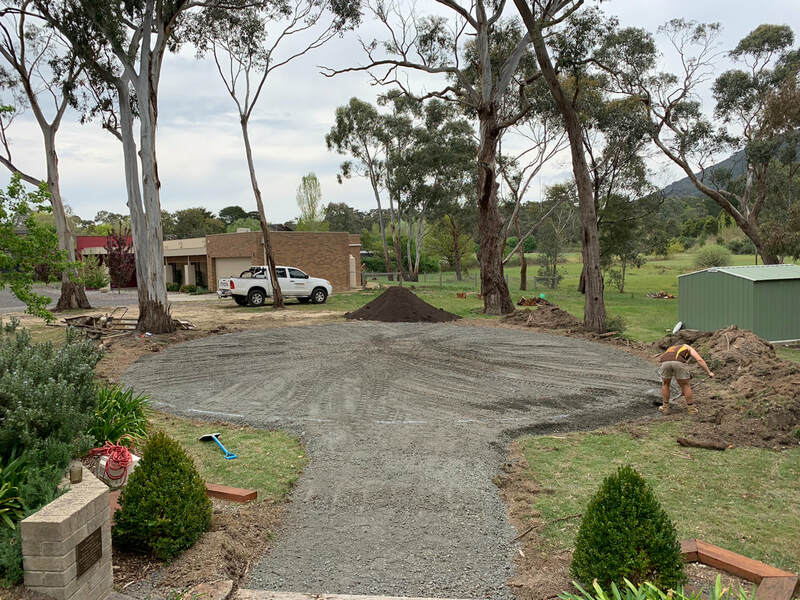 “I would like to see council meetings open in a way that is more encompassing of the range of beliefs in our shire,” she said. 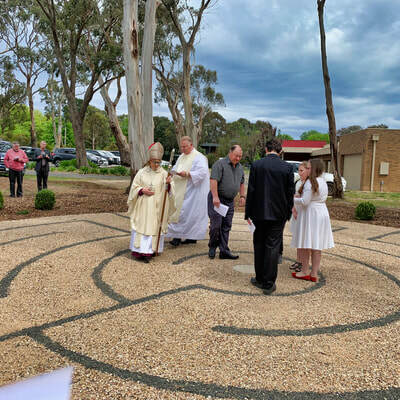 Vicar of Gisborne, Riddells Creek and Macedon Anglican Churches, Father Dennis Webster said while the church would ideally like council to start meetings with prayer, at the end of the day, councils exist to serve the community. “If they’re prepared to make an affirmation, whether religious or non-religious, surely it should be for the betterment of the community,” he said. It was also resolved that officers should prepare a draft opening affirmation to reflect the responsibilities of Councillors and officers, to be brought back to a Councillor Briefing by 31 October 2018. 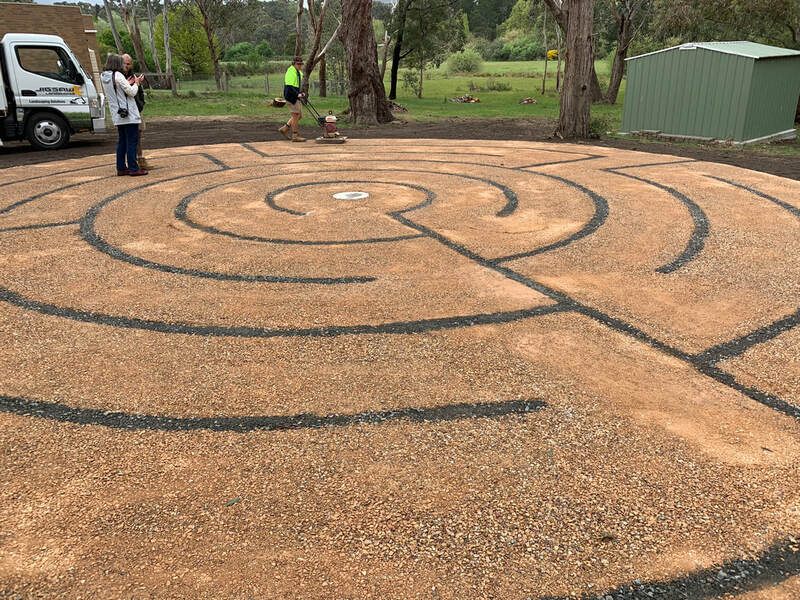 While councillors were mostly in favour of the motion, there was conjecture about removing the prayer without having an affirmation of sorts ready to replace the prayer. 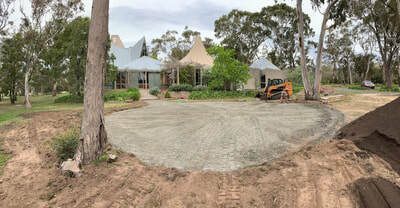 The motion passed with Mayor Jennifer Anderson, and Councillors Gayfer, Bill West, Helen Radnedge, Andrew Twaits and Janet Pearce in favour and Councillors Mandi Mees, Roger Jukes and Henry Bleeck opposed. From Sunday's sermon: if the numbers of Christians have fallen below 50%, then this is an indictment on the Church that requires itself to be praying.